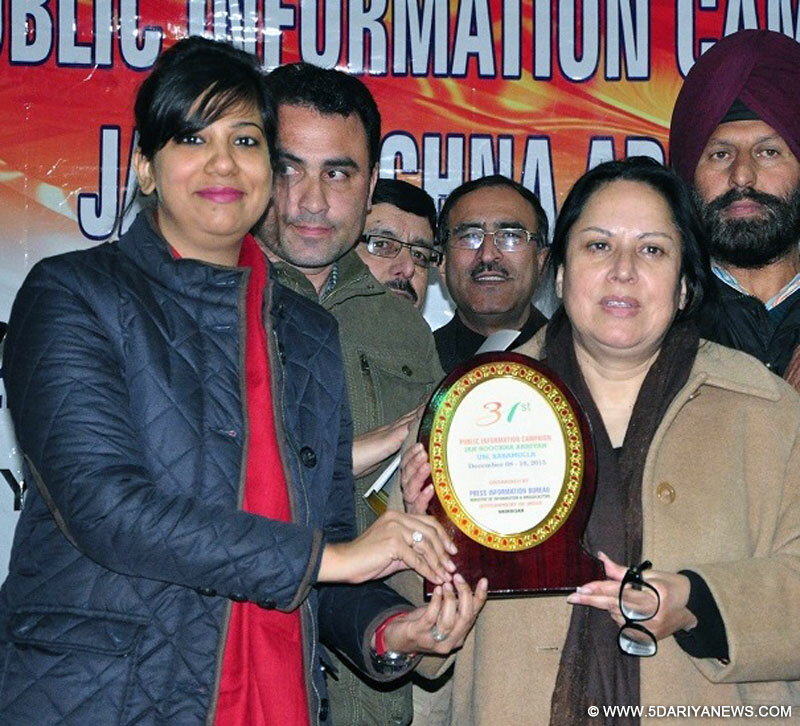 Minister of State for Health and Social Welfare, Asiea NaqashThursday called for ensuring benefits of the new social welfare schemes like AASRA and Ladli beti reach the intended beneficiaries including those living in far flung areas.She was speaking at the valedictory function of the public information campaign organised by Press Information Bureau (PIB) at Uri.Asiea appreciated the efforts of PIB for running a public awareness campaign at Uri to highlight various welfare schemes for the information of the public.Deputy Commissioner, Baramulla Yasha Mudgal, Director Heath Services Kashmir Sameer Matto, SDM Uri and other officers were also present.Asiea Naqash said that Government is determined to enhance mother and child health care services and stressed on greater role of ASHA and ANM workers. “Lack of awareness is the main hurdle in the effective implementation of different schemes” She said and added that creating public awareness regarding welfare schemes was vital for achieving success in the initiative.Deputy Commissioner, Yasha Mudgal also spoke on the occasion and underscored the need to bring down infant mortality rate and maternal mortality rate. DC also stressed promoting institutional deliveries and the role of ASHA workers in this regard.Dr. Sameer Mattoo also presented an account of various health related schemes during his speech. CMO Baramulla informed the participants about National Health Mission, JSY, JSSK and other health related schemes.Earlier, Asiea Naqash visited District Hospital Baramulla and took stock of the health facilities. CMO, Bashir Ahmad Chalkoo briefed the Minister about the facilities being provided to general public. The Minister also inspected Sub District Hospital Uri.